Hydrogen. H2. Who knew that it could do the body good? It is tasteless and odorless, and is the smallest element and lightest molecule…representing 90% of all matter in the universe. When infused in water, H2 may provide multiple therapeutic benefits for essentially every organ in our body. The interest in molecular hydrogen for health and wellness research is growing exponentially. More than 300+ peer reviewed scientific articles have shown this natural antioxidant can have positive therapeutic effects. Let’s explore why and how H2 could be helpful to you. Molecular hydrogen (H2) has proven effective in reducing oxidative stress. H2 is a very smart molecule. It can easily and rapidly enter the cells and mitochondria better than any other antioxidant. Once in the cells, it scavenges cytotoxins to protect your DNA, RNA and proteins from damaging oxidative stress…it does this by instantaneously converting toxic hydroxyl radicals into water. The H2 molecule, unlike any other antioxidant, is a selective antioxidant in that it only targets the dangerous free radicals. H2 helps our body maintain homeostasis, or even balance. H2 can trigger an increase in our bodies own antioxidant system by maintaining even levels of glutathione, superoxide dismustase (SOD), catalase and other cyto-protective enzymes. Glutathione, referred to as the “master antioxidant,” is found in every cell in the body and acts as an antioxidant to neutralize free radicals and prevent cellular damage. SOD is present both inside and outside cell membranes, and is one of the body’s primary internal antioxidant defenses. It also plays a critical role in reducing oxidative stress, as well as reducing internal inflammation and lessening pain. Catalase is a common enzyme found in nearly all living organisms exposed to oxygen (such as bacteria, plants, and animals). It catalyzes the decomposition of hydrogen peroxide to water and oxygen. It is a very important enzyme in protecting the cell from oxidative damage by reactive oxygen species. H2 plays a role in energy production. H2 increases energy naturally by providing higher levels of the enzyme NADH, which is critical for converting the energy in food to ATP. 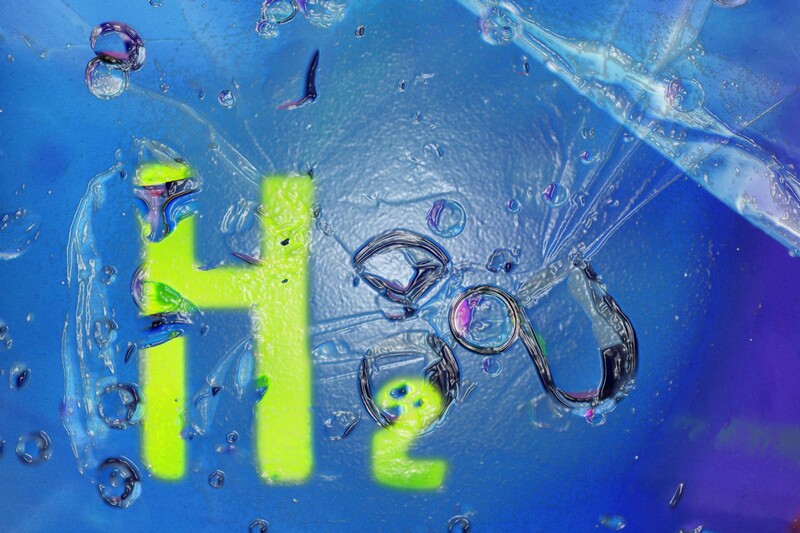 H2 also energizes the cell by assisting in cellular waste removal and enhancing cellular repair. H2 has an anti-inflammatory effect. H2 can alter cell signaling, cell metabolism and gene expression, which gives it the anti-inflammatory, anti-allergy and anti-apoptotic (or anti-cell death) effects. H2 allows for easier hydration and transport of vitamins and minerals. Due to smaller water cluster size, H2 changes the electrical charge in the water which causes water molecules to form smaller groups and allows for easier hydration and the transport of vitamins and minerals. There is substantial evidence that hydrogen rich water may prove to be an effective anti-aging drink. It may help energize the body, enhance mood and alertness without over stimulating and provide protection from harmful free radicals. In order for optimal health and wellness, every cell in your body must sustain its role and function. H2 steps into this role and empowers your cells. Drinking hydrogen rich water is no different than eating a fiber-rich meal. When you eat your veggies like mom always told you to, your gut bacteria produces a large amount of H2 during digestion that diffuses into the blood stream and exerts many of the beneficial effects. Because hydrogen is the smallest antioxidant, it can reach deep inside the brain and deep organ tissues, even when blood vessels are blocked. Only hydrogen can pass through cell membranes to eliminate toxic free radicals by converting them into the water. Since hydrogen acts as an antioxidant for your body, it also helps the immune system, enabling your body to react and recover quickly. Homeostasis of the body means a better balanced immune system and overall wellness. Tree of Life offers two easy ways to get more H2…tabs for your drinking water or H2 infused water ready to drink. To learn more about molecular hydrogen water, call Tree of Life to speak with a team member today.